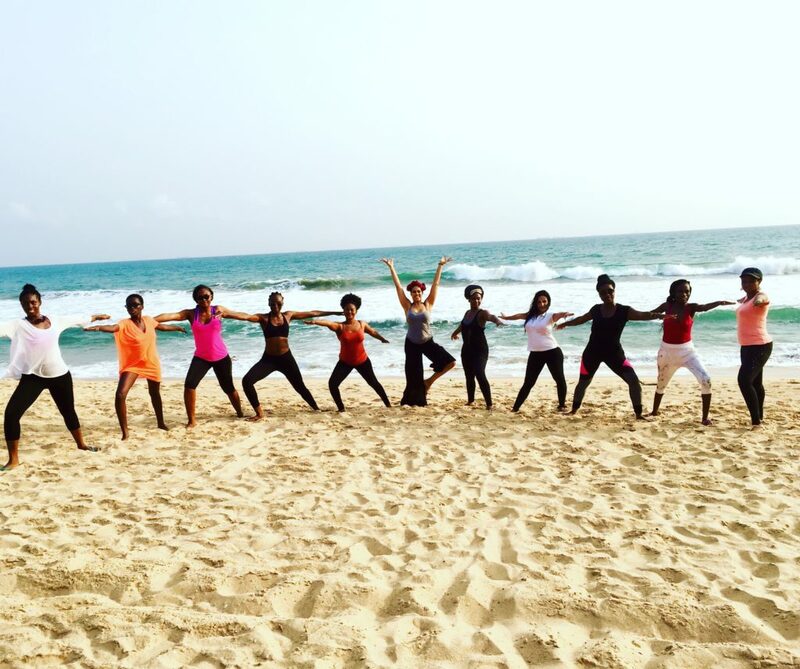 Groundbreaking Yoga Teacher Training in Lagos, Nigeria! 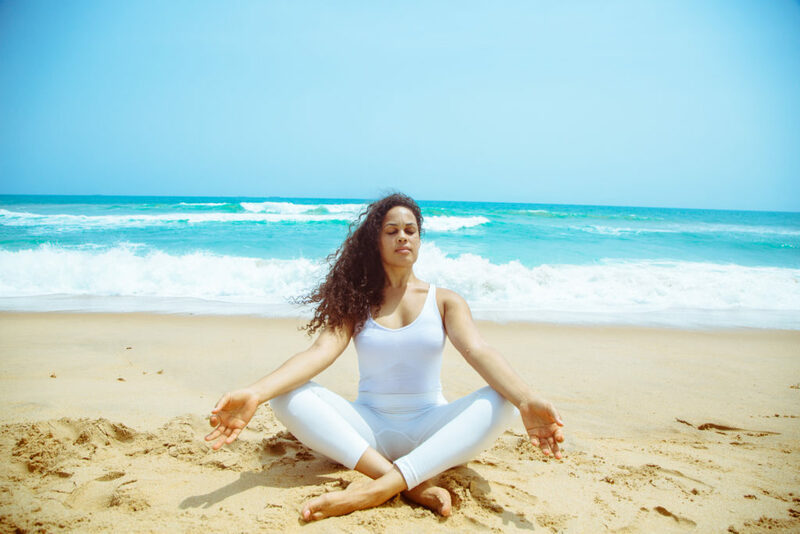 Become a certified yoga teacher with Proud Journey Yoga in Lagos! The format for the August 2019 session is the weekend format spread over 3 months. The training will be led by Proud Journey’s founder Nsa Emodi, Yoga Alliance certified E-RYT200 and experienced yoga teachers. Support Trainers, plus anatomy experts will also give you a well rounded education in yoga. Learn how to teach yoga professionally and you will have a breakthrough experience along the way! We hosted perhaps the first 200 hour Yoga Alliance Approved Certified Yoga Teacher Training in Nigeria. Our first training held in September 2017 and second training in March 2018. 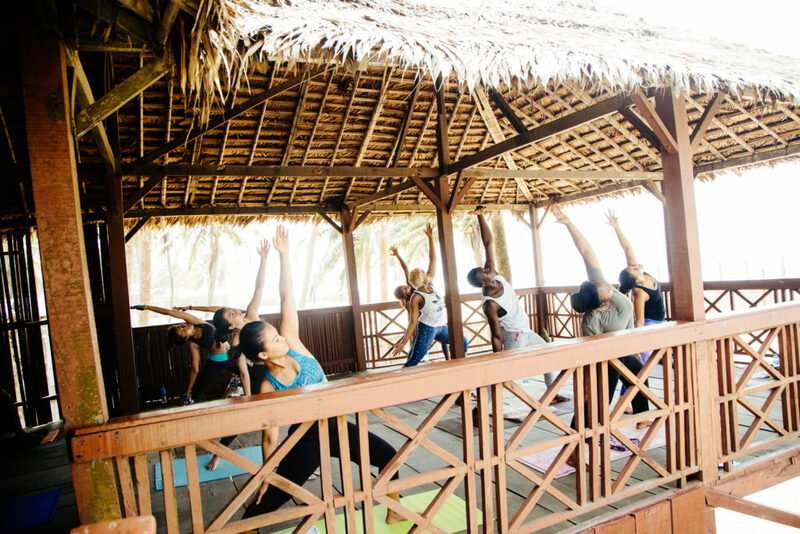 Based in Lagos, we welcome our West African neighbors, the diaspora and most importantly our local Nigerian yogis. 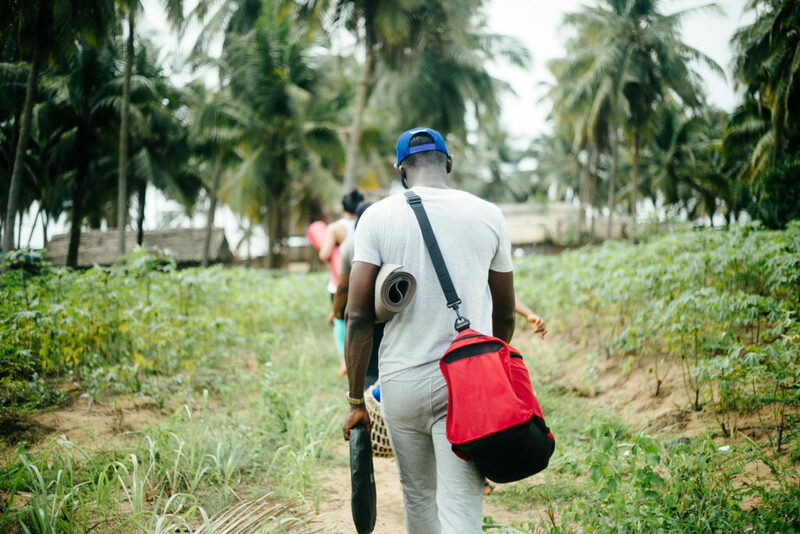 We hope to spread anatomically infomed and safe yoga practices through our alumni in Nigeria and the diaspora! Teaching yoga professionally means you will have to master many topics from anatomy, yoga poses, alignment, philosophy, meditation,the art of teaching, communication. All which are supported by practice, reading and studying with experienced teachers. 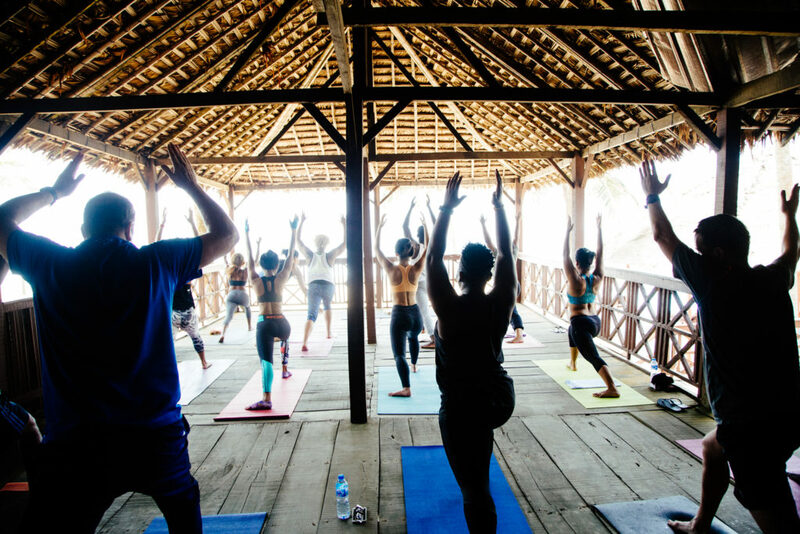 Below is a breakdown of what you will learn in the 200 yoga teacher training in Lagos. If you feel aligned scroll to the bottom of the page to apply to attend. Radically improve your own health first! Growing up in Long Beach, California Nsa played numerous sports and especially enjoyed dance classes for the alignment of ballet. But it was not until after college that Nsa fell in love with yoga while seeking relief from the stress and anxiety of the entertainment industry. 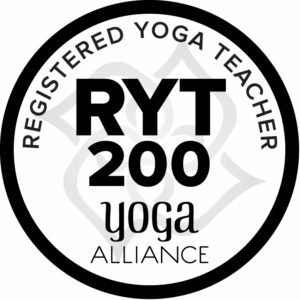 She has been practicing yoga for 9 years and now holds an E-RYT200 Yoga Teacher Certificate. She has a degree in Social Welfare from UC Berkeley, and has experience working with addiction, mental health and “at risk populations” reclaiming their wellness. 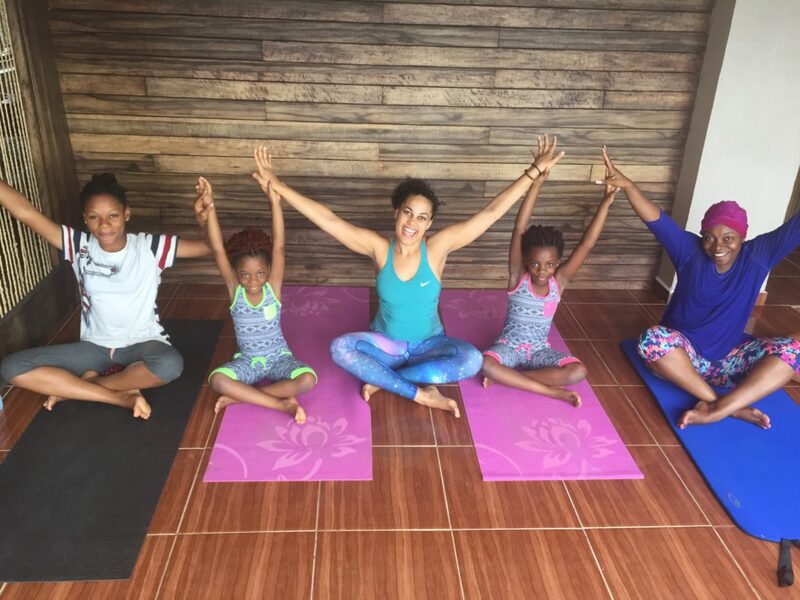 Nsa has been leading Proud Journey Yoga classes and retreats in Lagos for the last 1 year and teaching since early 2015. She offers her clients hatha, vinyasa and yin/restorative styles of yoga, while working one-on-one in yoga therapeutics and uplifting yoga to alleviate depression/anxiety/addiction. During the 200hr training she will also be teaching on topics of the art of teaching and the business of yoga – reflecting her 8 years of work as a marketing consultant. For the Weekend sessions you will have “full days” Saturday and Sunday. Attendees are expected to clear their schedules, silence their phones and immerse into the training will full focus. The learning modules breakdown is according to Yoga Alliance Standards. All assignments must be handed in to get your certificate. It will be hard work but it will be worth it! The training will be held in Lekki phase 1 area of Lagos. Exact location depends on number of students in the course and will be shared with registered attendees. Once you submit your application your investment level will be explained. We call it an investment instead of a price since this is a professional development training and you can recoup your investment as you start teaching with advanced skill and knowledge. A limited number of scholarships will be given to those living below the poverty line. Scholarship recipients are required to commit to 1 year of apprenticeship with Proud Journey Yoga upon completion. We recommend you submit your application of interest in advance. Please fill out the form below and our team will be in touch.